In 2015, over one million migrants and asylum seekers arrived in Europe. Whilst there has been a decrease in arrivals over the past four years, the death rate for Mediterranean crossings has actually increased from one death per 269 arrivals in 2015 to one death per 51 arrivals in 2018. This rise in mortality rates is startling, and is connected mostly to attempted crossings along the Central Mediterranean route, typically from Libya. In recent years, this has become the most common but also the most dangerous maritime route, with the UNHCR reporting an average of six deaths a day last year. Why has the Central Mediterranean become so perilous? The increase in deaths per crossing is largely a result of heightened surveillance and intervention by the Libyan Coast Guard. Increased patrolling has led to a rise in detentions in Libya, where migrants face horrific living conditions and brutal violence. Consequently, migrant boats have increasingly opted to take more treacherous routes outside the scope of the Libyan Search and Rescue Region, to avoid detention in North Africa. 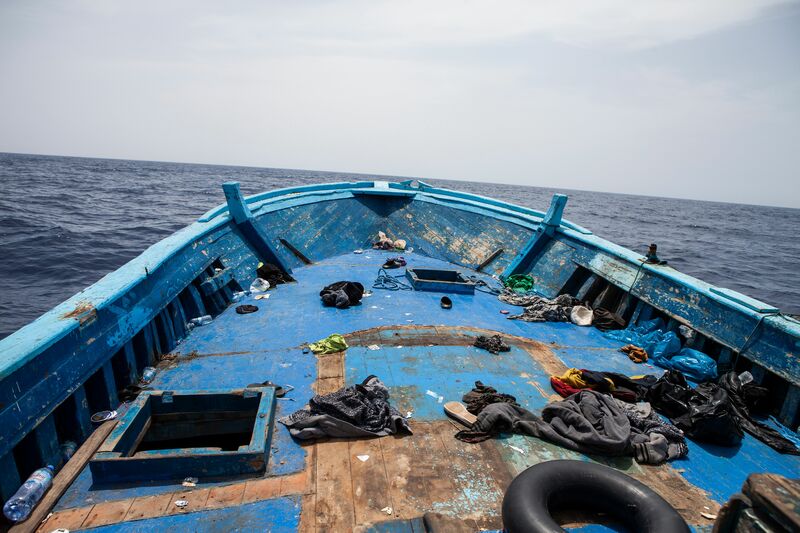 The escalation of Libyan patrols has made it extremely challenging for civil society Search and Rescue (SAR) organisations to operate in the region without being forced to collaborate with Libyan authorities, whose human rights violations are well documented, and without being criticised for bolstering smugglers or accused of trafficking themselves. MOAS was the first non-governmental organisation to launch a Search and Rescue mission in the Central Mediterranean in August 2014. During our three years at sea, we heard many harrowing stories of deadly maritime crossings. The politicisation of humanitarian action in the Central Mediterranean continues to hinder effective SAR coordination, leaving more vulnerable people at risk. Despite the increasing rate of mortality along this route, 2,200 people attempted the crossing in the first two weeks of this year alone. 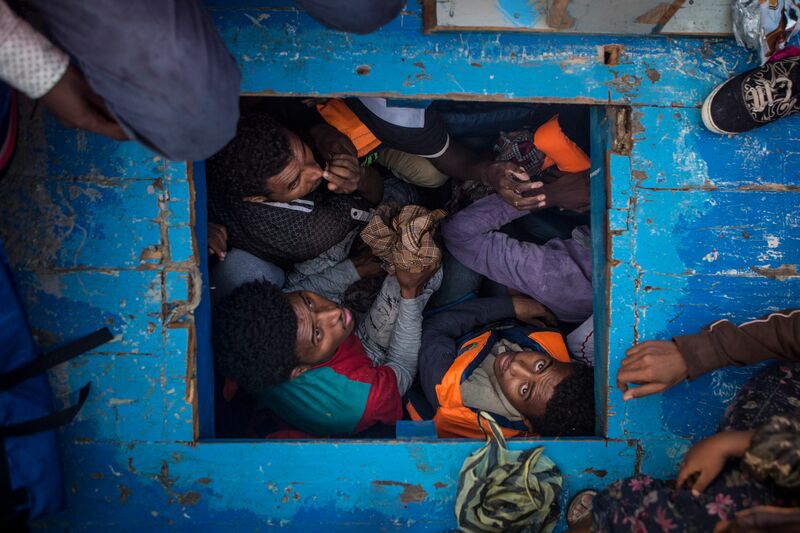 Between August 2014 and August 2017, MOAS rescued over 38,000 people in the Central Mediterranean. We suspended Mediterranean operations in 2017 because the intensification of Libyan patrols meant our organisation risked becoming complicit in the practice of intercepting migrants and returning them to Libya to face grievous human rights violations. Despite this shift in operations, MOAS continues to advocate for the vulnerable children, women and men who attempt these dangerous crossings, and for the protection of the rights of migrants and asylum seekers worldwide. MOAS has repeatedly called for a coordinated European approach to Mediterranean SAR, and for European members states to work together towards solutions that can prevent desperate people from embarking on these deadly journeys. Humans will always migrate across borders, particularly under the pressure of poverty, conflict or climate change. MOAS encourages efforts that focus on ensuring safe and legal passage rather than strict border management, which has only worsened the situation for migrants and refugees so far.